Japonesque is the leading manufacturer of the most versatile, innovative and prestigious makeup brushes and beauty accessories. 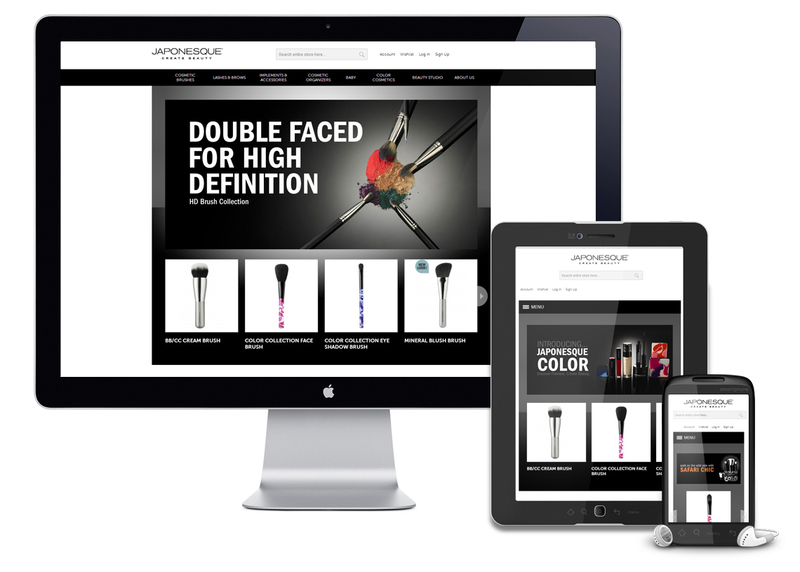 Japonesque tasked Go Media to plan, execute, and deliver a fully responsive redesign of the company’s current website including ecommerce capabilities. The redesign gives their products the attention they deserve with an intuitive product category navigation. The new website design also spotlights their latest articles “From the Beauty Studio” right on the homepage, allowing visitors to fully immerse themselves in beauty culture. See the live site in action here! Throughout the entire creative process, we deliver multiple concepts to be sure we hit the mark. Below are some alternate website style directions we worked through.